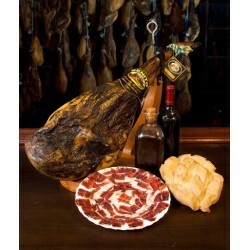 Guijuelo (Salamanca) There are 11 products. 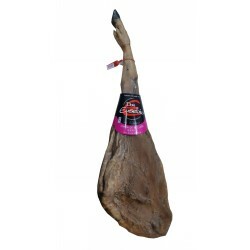 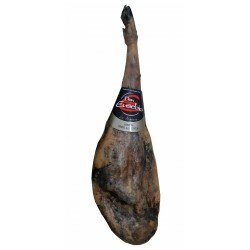 Pata negra ham acorn fed with origin register Guijuelo with a weight between 7,5 and 8,5 Kgs aprox. 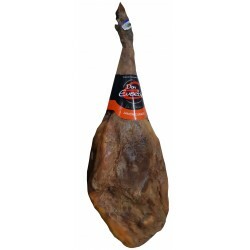 Pata negra ham feed fed from Salamanca with a weight between 8 and 8,5 Kgs aprox. 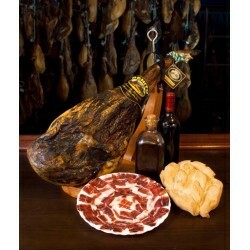 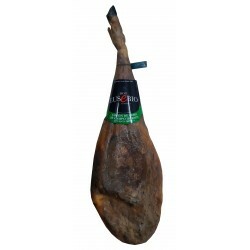 Serrano ham fatty from Guijuelo with a weight between 8 and 8,5 Kgs aprox.